LuxeMark Company is a reputable, solid company built on a foundation of one-on-one customer service. We provide cabinetry, countertops, striking designs and installation services to the Triangle area builder, designer and retail markets. Founded in 2001 as Marsh Kitchens of Raleigh, the company underwent a major restructuring in 2006 and 2007. Upon completion the decision was made to change the name to reflect our new identity and LuxeMark Company was born. Our professional team includes cabinet designers and installers. Accuracy and timeliness have been keys to our success. The way our team communicates frequently and fully with our customers throughout the process contributes to our timely completion of your project. We design, build, and remodel homes that our clients love. We are committed to delivering exceptional quality and service to our customers, employees, and community. We pride ourselves on effective communication and collaboration that delight our customers, giving them confidence, security, and peace of mind. Our award-winning work brings your dreams to reality with an attention to detail and quality that our competitors only hope to achieve. Our History | Established in 2007: CQC home has honed is remodeling process for the past 9 years. Our collaborative approach to design/build means you get the home renovation you want: on time and on budget. The design-build process is more streamlined and effective than the traditional architect and contractor approach. We invest in employees over subcontractors, meaning you're getting a renovation team committed to CQC and our philosophy of quality, community, and continuous improvement. * We sweat the small stuff so you don't have to: we're licensed and insured far beyond industry requirements and even have a Safety Officer on staff. We save you time and money by working together to realize your dream renovation within your budget. Our process is different than many, and we trust it completely. We are your local, independent, kitchen & bath, design & consultation firm based in Chapel Hill. We include our clients in the design process from start to finish. We meet with you in the comfort of your home and help you to create functional, livable, and truly beautiful spaces tailored to meet and exceed your specific needs, now and in the future. Whether building or remodeling we can help you to shape your dreams into reality. At The Kitchen Specialist, we have been creating elegant kitchens for more than 25 years, using our expertise and creative vision to design countless kitchens and bring our clients' dreams to life. Today, infinite choices are available to anyone who is thinking about building or re-designing a kitchen. However, there are few places where you can rely on the eye of a professional kitchen designer to help you make the right design and material choices. That is why The Kitchen Specialist is unique. Our design experts know that it takes planning, knowledge, and careful attention to the small details to help you create that special space that will enhance your lifestyle and give you pleasure for years to come. We are your Raleigh, NC Kitchen and Bath design and build firm. Designhouse Kitchen and Bath consists of professional designers and contractors with 20 plus years of experience. If you desire a unique combination of style, design, and of course, durability, Designhouse Kitchen and Bath sets new standards. Our expertise of kitchen and bath will simply take your breath away. Come see what a difference of knowing the product rather than just selling the product can make. We are your one stop source in the Triangle for all of your complete kitchen and bathroom remodeling needs. From the floor coverings to the cabinets to the paint on the ceiling and everything in between, we have what you need to complete your project. Tropical Painting & General Construction Co.
Raleigh's Kitchen & Bathroom Remodeler With 20+ Years of Experience! 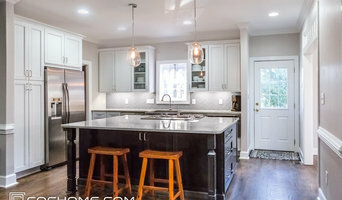 At Cederberg Kitchens and Additions we are a team of Residential remodeling designers & contractors working in the Chapel Hill area since 1986. With a licensed general contractor on staff we can help design and construct your kitchen and bath dreams! We specialize in kitchen and bath remodeling, room additions and whole house renovations. Call to make an appointment today, we'd love to hear from you! From simple to complex—I thoroughly enjoy creating focused kitchens and baths that flow well—that fit form and function goals within funding guidelines. 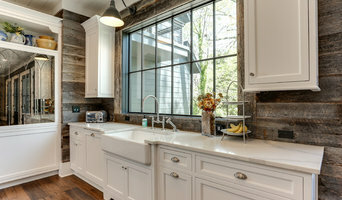 Remodeling and Interior Design Firm - Best of Houzz! Blue Ribbon Residential Construction, Inc. If you are looking for a builder who creates custom designs, uses master craftsmen and quality building materials, has over 25 years of experience and guarantees your satisfaction, then we invite you to reach out to John R. Sperath and the incredible staff at Blue Ribbon. From design concept and plans through complete construction, Blue Ribbon provides a full range of home improvement services. Based in Raleigh, North Carolina, we take great pride in our high-quality, on-budget work for residents of Wake County. Triangle Area Premier Interior Design Consultant - Best of Houzz - Though my travels have influenced my global sense of style, my true inspiration comes from you. Together we can create remarkable spaces that accommodate your budget and reflect your lifestyle. You receive expert advice with my reasonable hourly fees. You maintain complete control over your budget because I work as a consultant only. A few hours with me can help you achieve your personalized designer style and avoid costly mistakes. BUILDING, RENOVATING or DECORATING? 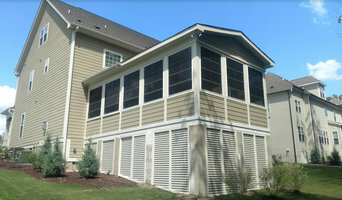 Ask my homeowners how invaluable my service is before, during and after construction. Your dreams will come true while you avoid architect and contractor agendas. Overwhelming choices? The selection process is made fun and easy. Frustrations disappear when I help with floor plans, furniture placement, wall color, accessories, shopping advice and much more. We can make your house feel like HOME! We are a professional kitchen and bath remodeling company based in Chapel Hill, North Carolina. Contemporary or traditional: We do it all! When you call Core Home Solutions you get the personal attention of owner Roy Legaard, with over 35 years of experience, including the past 15 years as a licensed general contractor. Our intentionally small size and hands-on approach enables us to provide customers with unparalleled service and superior workmanship. Offering kitchen and bath design in all price points. Sole Source Solution is a "turn-key" home remodeling and residential project service company. We stand apart and excel in our industry by listening to our clients needs and working hard to deliver project objectives. Joe Greco is a NC Licensed General Contractor and licensed North Carolina Realtor, bringing market knowledge to help guide remodeling decisions that will increase home value, as well as the expertise to carry out the rehab. Joe will personally oversee your remodeling project, home repairs, or rehab, bringing along a professional team of top quality skilled tradesmen to ensure remodeling projects are completed within code, on budget, and above expectations. WD Smith Construction is one of the the triangles leading custom general contractors for Bath and Kitchen Remodeling. We offer full turnkey services for Kitchen and bath Remodeling. We have excellent vendors with large showrooms to help with design and with the choosing of your finishes including, cabinets, tile, counter tops, plumbing fixtures, electrical fixtures and much more. Contact us today for your free evaluation and estimate of your new bath or kitchen!!! 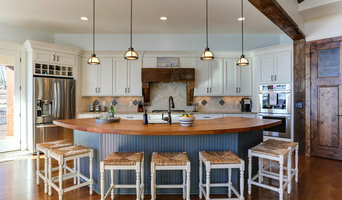 There are many types of kitchen professionals in Raleigh, NC – from cabinet makers, to carpenters and interior designers – and many trade professionals offer a full suite of expertise. Depending on the size of your kitchen renovation, and the kitchen designer, they may also hire contractors on your behalf and manage the project from beginning to end. Here are some related professionals and vendors to complement the work of kitchen & bathroom designers: Kitchen & Bathroom Fixtures, Appliances, Tile, Stone & Benchtops, Joinery and Cabinet Makers, Carpenters. 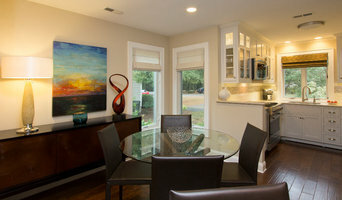 Find a Raleigh, NC kitchen designer on Houzz. Browse the Professional section on Houzz to find kitchen designers in Raleigh, NC. Then, scroll through photos of their latest kitchen renovations and see how their work compares to the scope of your project. You can read reviews to see how other homeowners rate their work, and message them directly to to ask any specific questions.